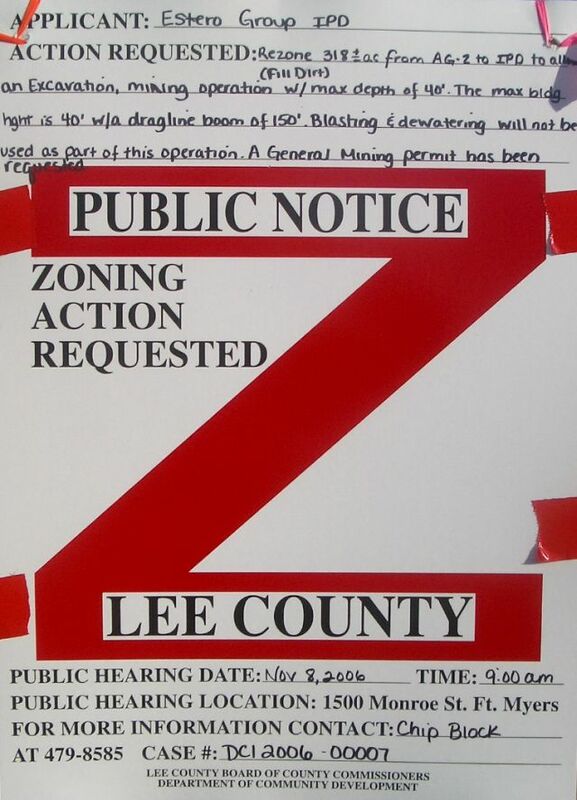 Oct 23 2007 BOCC approves 2nd public hearing on mine rezoning moratorium - Comments from the Board were in support of adopting the moratorium as drafted in the resolution. The County Attorney indicated that the moratorium stands on strong legal ground. The Board voted to forward the proposed ordinance without changes to the second public hearing on Nov. 13. There was also some discussion about eliminating the exemption language for the Fountains DRI – meaning the 1 year moratorium may apply to them as well. Strategic Aggregates Review Task Force - Committee Meeting Notice - The Strategic Aggregates Review Task Force, recently formed by the Florida Legislature under CS/HB 985, will soon hold the first in a series of public meetings to discuss improvements in policy and public investment as it relates to the availability of construction aggregate materials and related mining/land use practices in the State of Florida. The first meeting, which will be held in Tampa, will include discussions of task force organization, rules of procedure, stakeholder perspectives and a tour. Discussions will begin at 1:00 p.m. on Tuesday, December 4, 2007 and conclude at 12:00 p.m. on Thursday, December 6, 2007. Details regarding the exact meeting location will be made available as soon as they are finalized. Oct 16 2007 Governor Crist names five to the Strategic Aggregates Review Task Force - Richard Grosso is a strong advocate for growth management & conservation issues. Halley, Missimer, and Slade represent the mining industry. Wiggins position is unknown at this time. Visit the Task Force Website - to stay informed about their activities, add your name to their mailing list. Senator Mike Bennett weighs in on the Lee Mining Moratorium - Senator Bennett is a land developer based in Bradenton who represents portions of northern Lee County. He was featured in a 2006 investigative report by the Herald Tribune. Legislative Delegation Meeting & Public Hearing - Meeting is set for Nov. 29, 2007, 1PM-5PM, Room S-117 at Edison College. We are making plans to make a presentation related to anticipated legislation that would remove local authority over land use issues related to mining. Panthers using Corkscrew Wildlife Crossing - Link to photo of tracks found in September. Work on fence improvements are just about complete. 2007 Draft SEIS Released On August 17, 2007, the 2007 Draft Supplemental Environmental Impact Statement on Rock Mining in the Lake Belt Region of Miami-Dade County, Florida was made available to the public for review. Sep 13 2007 Estero Group Mine Hearing Continues - could go 14 days - County staff presentations and the remainder of testimony by the public concluded on Friday September 7th. The hearing continued with applicant rebuttal on Sept. 11th & 12th. Rebuttal witnesses called by the applicant to testify included Univ. of Ga. Hydrologist Todd Rassmussen, and groundwater modeler Louis Motz. They also will be calling on their own planners & engineers: RaeAnn Boylan, Lloyd Horvath, Wayne Arnold, and Jim Banks. The hearing is scheduled to continue on September 14th at 9AM, Sept 18th at 11am, September 27th at 11am, and October 9th at @ 9am. There will be no more opportunity for public testimony until the matter is considered by the BOCC in the coming months. Sep 11 2007 Good News - DR/GR Action Plan - At this morning’s regular meeting, the BOCC approved the DR/GR Action Plan submitted by staff and directed them to move forward with the 14 points of the plan, including the hiring of an outside consultant for the master planning effort. County planning staff will begin preparing RFP’s for the consultant contract which will be financed through the Unincorporated Lee County MSTE Fund. Chairman Janes suggested that the county look outside the “hometown” crowd when sourcing the consultant for the master planning effort. The Board had some specific discussions about action items 12: “Limit comprehensive plan amendments”, and 13: ”Limit rezoning” while this review is underway. They appeared ready to adopt a moratorium on any new Comp Plan amendments while the review is pending, however, they were reluctant to limit or eliminate rezoning applications during this same period. In general, recent Comp Plan amendments in the SE Lee DRGR have dealt with increased housing density for large residential developments (i.e., The Fountains), whereas rezoning has generally meant mining. The Board directed staff to come back to the BOCC at next Tuesday's M&P meeting with recommendations on item 13. "Unfortunately, the Board’s reluctance to limit rezoning will most likely mean that East Estero residents will continue to bear the stress and financial burden of opposing each of the five pending mining applications individually, at least until the master planning effort is completed. You might consider contacting Board members to let them know how this ongoing burden will affect you. Thanks to the support and leadership of our friends in Estero (ECCL) as well as the environmental community over the past year, we’re beginning to make some real progress toward improved planning for our rural community. We’ll be closely monitoring this process and looking for opportunities for your direct participation. We’ll keep you posted." Sep 4 2007 Update: Estero Group Mine Hearing - Cross examination of Dr. Sydney Bacchus concluded this afternoon - much earlier than expected. There is one remaining member of county staff yet to testify, and he’s scheduled to do that first thing tomorrow. The Hearing Examiner suggested that additional members of the public who wish to testify will have opportunity to do so beginning tomorrow (Wednesday) before lunch, or later in the day as needed. Aug 31 2007 Estero Group Hearing to resume September 4th - The Hearing Examiner held an "attorney-only" meeting today to discuss expectations for the upcoming hearings. Beverly Grady, attorney for the applicant indicated that her cross-examination of Dr. Sydney Bacchus would begin Tuesday morning and last at least the entire day. Therefore it's likely that the best opportunity for public testimony won't happen before the afternoon of Wednesday, Sept. 5th. BOCC to consider DRGR Action Plan - At the special DRGR Issues Workshop on August 9th, the Commission directed staff to prepare additional information for a proactive planning effort to address the DRGR land use and mining issues. The Action Plan provides background and lists 14 proposed action steps, including the hiring of a consultant. The DRGR Action Plan will be considered by the Board at their regular public meeting on Sept. 11, which begins at 9:30 AM, at the Board meeting room, 2nd floor, County Courthouse, 2120 Main Street. Public comment is welcome and encouraged. Westwind Corkscrew Mine Pollution Compliance - The Lee County Division of Natural Resources conducted a recent follow-up inspection of the Westwind Corkscrew Mine and documented continued pollution compliance problems on their property as well adjacent property belonging to Estero Group LLC (which doesn't even have a permit). It appears the compliance issues at Westwind have been going on since at least 2005, and are in violation of their mining operations permit and possibly their zoning approvals. 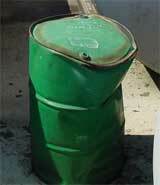 Read the full report - including pictures disclosing contamination and questionable activities. It's important to note that the operators of Westwind, would also operate the proposed Estero Group Mine if it's approved. The County Attorney's Office has recommended that Lee DCD staff prepare a formal notice of violation and consider the full range of enforcement options available. Is Lee County ignoring potential contamination of the public water supply? Expert contends that Lee County's Proposed Wellfield Protection Ordinance is based on flawed modeling that fails to simulate the effects of mine pits or other water bodies. This failure to account for the impacts of mining activities increases the potential for contamination of the public water supply. To Paul O'Connor, Dir. Planning Dept. To Roland Ottolini, Dir. Nat. Resources Dept. Response to letter from Dan Acquaviva, consultant with the firm that conducted the modeling for Lee County Utilities. The issues raised by Mr. Rawl are essentially the same cited by US Circuit Court Judge William Hoeveler in his recent ruling against mining in the Miami-Dade Lake-Belt. Public hearings for the Wellfield Protection Ordinance before the Lee County BOCC are scheduled for 5:05 PM, Sept. 11th and Sept. 25th at the County Courthouse. Aug 9, 2007 Lee staff to draft DR/GR action plan - At today's DR/GR & Mining Issues workshop, the BOCC directed Wayne Daltry & Mary Gibbs to draft a DR/GR action plan and return to the Board in 3-4 weeks. The action plan will incorporate input from the stakeholder meetings and subsequent staff recommendations. Notes of workshop comments from Commissioners & staff. Lee County Commissioners will hold workshop on DR/GR & Mining issues - The workshop will be held tomorrow, Aug. 9, 2007 at 9 a.m. in Commission Chambers. The BOCC will consider input gathered at the recent DR/GR Stakeholders Workshop along with recommendations from County Staff. The public may observe this issues workshop, but no public input will be permitted. Click the link above for more information from the County website. Position Statement: Next Steps for the DR/GR - This position statement has been signed by many residential, civic, and environmental groups in response to the McLane DR/GR "Compilation Study". This, along with the press release below has been presented to the Smart Growth Committee, county staff, and Commissioners. It outlines the next steps we believe need to be taked regarding the DR/GR. Estero Community group appoints former Lee County official to investigate planning for sensitive DR/GR areas - This grant-funded initiative is something we've been working on behind the scenes for over a year. It should provide additional guidance for improved land use planning in the DR/GR. Back to reality - Website updates resume today after a too-brief vacation. Cross examination of expert witness delays mine hearing - Dr. Sydney T. Bacchus, PhD, a Hydroecologist with Applied Environmental Services, LLC, provided testimony on behalf of Corkscrew Road residents in the Estero Group Mine zoning case on July 19th. Her presentation described her study of the ecological impacts to onsite and offsite wetland systems caused by non-mechanical dewatering of the surficial and Florida aquifers which occurs as a result of mining excavations. Attorneys for the applicant, Estero Group Ltd., as well as an attorney representing two other Corkscrew Road landowners who have applied for permits to mine in the area, asked the Hearing Examiner for more time to prepare their cross examination of Dr. Bacchus. The hearing, has been continued to September 4, 5, & 7. In addition, the Hearing Examiner asked all parties to clear their calendars for the following week (Sep 10-14) should that time be needed to complete the hearing. Estero Group Mine Hearing - Day 5 Update - On Wednesday, July 26, the Lee County Hearing Examiner heard continued testimony from County Staff about the basis for their recommendation of approval for the subject case. Subject matter areas included Lee DOT traffic engineering, traffic crash data, road construction, and code enforcement activities for mining operations. There were also several members of the public who provided testimony in opposition to the rezoning. The Hearing Examiner recessed early (4:30 PM) in order to allow hearing participants opportunity to attend the DR/GR Stakeholder meeting in Estero at 6 PM. Update: This 368 acre parcel is on Corkscrew Road just across the Lee-Collier line. John Murray (CREW) informed me last night that they are celebrating the fact that the deal is done and the land is preserved. Congratulations to CREW, the Starnes family, and the Collier BOCC for their efforts to preserve this valuable habitat. As a resident of the Corkscrew / Estero area, YOU are a stakeholder. Your input is needed at this meeting. Please plan to attend. The announcement link above contains more background and details, including updated maps of DR/GR flowways, land ownership, & land use plans. Estero Group Mine Hearing may set new record - According to officials with the Lee Hearing Examiners Office, the previous record for longest-running zoning case is 15 days. As of today, the ongoing Estero Group hearing is scheduled to run at least 8 days. The Hearing continues tomorrow, July 25th. Testimony from the public is welcomed. The Hearing Examiner agreed to an early recess on Wednesday in order to allow hearing participants opportunity to attend the DR/GR Stakeholder meeting in Estero at 6PM. Yet another new Corkscrew mine application - Cypress Bay MPD, a 1,154 acre "Mixed Use Planned Development" officially submitted application for rezoning last week. Proposed uses include mining. This application represents the fifth active mine application currently being considered by Lee County. We'll share more details as they become available. Southeast Lee Mining Map - Updated today to include the Cypress Bay mine application, as well as confirmation from planners for Old Corkscrew Plantation that they intend to mine on their 6000+ acre property. Click image below for full-size (217 KB). Jul 23, 2007 Estero Group Hearing Continues Tomorrow - The Estero Group mine hearing continues this week on Tuesday July 24th and most likely Wednesday, July 25th. Testimony from the public is welcomed on both days. Remember, if you don't testify during this hearing, you will not be given opportunity to testify before the County Commission for the final decision. Jul 18, 2007 Hearing update: The first day of the Estero Group hearing was completed at 4:15 PM. About 75 residents were on hand for the proceedings. Hearing Examiner Dianna Parker allowed public testimony from those who couldn’t return on Thursday. Many more residents are expected to speak tomorrow (Thursday) after the applicant wraps up their presentations. It appears the hearing will continue at least until Friday. We're the little man. We have nothing to gain and everything to lose. --Bill Lytell said referring to his small town near Fort Myers fighting the installation of large mine pits. Federal Judge Hoeveler decision - (bad links fixed). Folks interested in Lee's DR/GR should make themselves familiar with this case. This decision will lead to additional pressure from big mining companies for new limerock mines in this area. 2nd Fl., Dept of Community Development Bldg. Judge Hoeveler issues ruling - halts Miami-Dade mining permits - Despite doomsday cries from miners, and FDOT, Judge Hoeveler issued his ruling which required an immediate halt of mining in the areas with the greatest potential to contaminate the wellfield. "He completely discounted the FDOT "strategic aggregate study" as being cooked-up to serve the miners' interests." Click link for more, including links to the full decision. Judge curbs mining in Miami-Dade County to shield water - To protect Miami-Dade drinking water, a federal judge ordered rock miners to stop blasting and digging in a large chunk of the industry's most valuable land. 1800 ADDITIONAL Dump Trucks on Corkscrew Road? - Zoning applications for mines in Lee County must include a “traffic impact study” which predicts the number of truck trips the mine will generate. But these estimates are far from reality once the mine gets their permit. Jul 12, 2007 Last night's pre-hearing meeting at the Library was very successful with well over 100 people in attendance. Local media was on hand to cover the event. See links to the media coverage below. Homeowners speak out against mining company - Fed up homeowners faced-off against a mining company claiming the work is tearing up their Estero neighborhood. At a public meeting on Wednesday, residents had a simple message for the company - stop mining. Article by NBC-2.com (with video). Rock mine near Collier Fairgrounds looking to expand - A mining company is moving ahead with plans to increase the size of its 626-acre mine off of Immokalee Road near the county fairgrounds by nearly 500 acres. Article by Larry Hannan - Naples Daily News. An update from Nicole Ryan, Conservancy of SW Fla.: "This mine is located within the Rural Fringe Mixed Use District’s Transfer of Development Rights program area. It is within the Receiving Area, where mining is allowed based on fewer environmental resources contained on the land. State and federal permits will still have to be obtained, but from a planning perspective, this is how the process should work. Mining directed to the areas most compatible. This is also an example of how a TDR, or similar, program can work and still allow development, ag, mining and other uses IF it is planned in a compatible manner." Jul 3, 2007 CALL TO ACTION - Corkscrew Friends and Neighbors are urged to attend the upcoming public hearing for the Estero Group Mine scheduled to begin on July 18th at 9AM. Please mark your calendar with this very important date! A Pre-Hearing meeting for friends and neighbors opposed to the mines will be held at 7PM Wednesday, July 11th at the South Regional Library on Three Oaks Parkway. Jun 27, 2007 Public Hearing Alert: Estero Group Mine Zoning Hearing is scheduled for July 18, 19, 20, 24, & 25th. - Please mark your calendar and plan to be there - your participation is vital! We are in the process of planning a pre-hearing strategy meeting for residents. Please check back soon for more details. Florida case law documents permissibility of fact-based testimony from residents or other concerned citizens as competent, substantial evidence. Lee DCD Staff has recommended APPROVAL of the Estero Group Ltd. request for rezoning to Industrial Planned Development. In their 22 page report, Lee staffers concluded that the requested zoning "is compatible with surrounding property uses, will not adversely affect environmentally critical areas, and will not place undue burden on existing transportation facilities." While Corkscrew and Estero residents are disappointed by the County's recommendation, it's important to remember that the hearing examiner must consider all testimony prior to making a recommendation to the BOCC. Residents will provide extensive testimony about adverse impacts of the proposed mining operation at the Public Hearing on July 18-20,24,25th. Jun 26, 2007 Second panther death on Corkscrew in 9 months leads to action and results from National & Florida Wildlife Foundations. A panther killed by a truck on Corkscrew Road prompts improvements to the wildlife crossing that is supposed to protect them. Apr 14, 2007 Protect local power, wetlands - When people start streamlining government, look out. Somebody’s looking to protect their income stream from meddling officials, who just may be meddling in the public interest. Apr 4, 2007 Protect the Everglades with rock-mining study - Under Gov. Bush, state officials had an invitation from Palm Beach County to study the future of the Everglades Agricultural Area. They accepted before they declined. Apr 3, 2007 Action Needed! Legislative update on PCB 07-12 relating to Mining - The House Environment and Natural Resources Council has passed this bill related to mining. The next stop is the Policy and Budget Council. Read the update for more information about what you can do to help eliminate the local government pre-emption language. Lawmakers may lower local hurdles to new mining - With the state warning a rock shortage could derail development, lawmakers look to lower the local hurdles to new mining. Miami Herald - 04/03/07. Charlotte skips ban on new dirt mining - Officials say they'll work out new laws with dirt excavators. For the third time, commissioners opted Monday to do nothing to stall a dirt mining rush, even though the number of applications for new fill mines jumped from 25 to 33 in less than eight hours Friday. Herald Tribune - 04/03/07. Mar 22, 2007 New proposed legislation related to mining - Proposed Committee Bill 07-12, sponsored by the Environment and Natural Resources Council has been forwarded to House Council. This bill would effectively silence the authority of local government in land use planning decisions about mining. If this bill passes, we can expect rapid conversion of Corkscrew to an industrial mega-complex that would serve much of the state with rock. We are preparing responses to this and other similar legislation. Please stay tuned for a call to action - we'll need your help with letters and phone calls to our representatives. FDOT Aggregate Study - The momentum behind this and other proposed bills is well documented by the a recent study commissioned by FLDOT on behalf of the mining industry. The 126 page report is available online here (PDF file size - 6.31MB). Mar 6, 2007 2007 Legislative Session Starts Today - With the launch of the 2007 Legislative Session, 1000 Friends of Florida is busy at work monitoring legislation related to growth management, and other timely issues. Click here for a brief overview of some of the issues they will be covering this session. There is some especially troubling legislation being filed by Senator Michael Bennett, District 21 (covering parts of Charlotte, Desoto, Lee, Manatee, and Sarasota counties) among others. Of particular interest is the note to "Expect to see a bill or amendment intended to pre-empt county government authority to regulate mining activities." The powerful mining industry lobby is hard at work in Tallahassee. Senate Bill 2784 filed yesterday would direct regulatory agencies considering changes related to mining to address the effect of their decision on the supply of mined materials. The bill also creates a task force and directs FLDOT to identify locations of significant construction aggregate resources statewide. Expect to see our neighborhood on this map. 1000 Friends is aware of the Corkscrew mining situation. You may want to sign up for growth management alerts if you don't already get them. 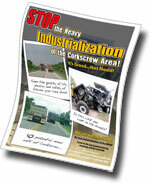 Mar 1, 2007 New public awareness flyer - Impacts of mining on Corkscrew Road will adversely affect more than just those of us who live next door. Please help get the word out about the mining situation by printing and sharing copies with friends, neighbors & co-workers. Click the image to download the full-size version (Adobe Acrobat PDF - 158KB). Feb 14, 2007 Estero Group Mine hearing rescheduled - Our legal representative Tom Hart, reports that the Lee County Hearing Examiner held a status conference today to determine if this rezoning case will move forward. The applicant stated that they were ready to go to hearing. The hearing has been scheduled for 5 days beginning July 18th. The scheduled dates are July 18, 19, 20, 24, and 25. As always, the applicant can postpone these dates right up until the last moment. Stay tuned for updates. Yet another new Corkscrew mining application - Schwab Materials, Inc. has submitted a rezoning application with the County Planning Department for a new rock mine. The application requests rezoning of 600 acres from AG-2 to Industrial Planned Development (IPD) and approval of a General Mining Permit to allow an excavation, mining operation (construction materials mining operation) with a maximum depth of 110 feet. The applicant indicates that the operation will include blasting operations. The subject property (labeled Schwab II in the map below) is the citrus grove on Corkscrew Road to the west of the Corkscrew Country Store. The property is adjacent to the parcel currently involved in litigation under the Bert Harris Private Property Rights Act. 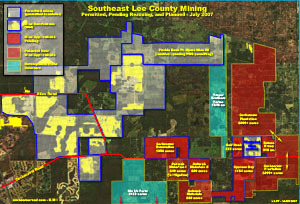 Southeast Lee County Mining Map - Updated today to include the Schwab II mine application. Click image below for full-size (217 KB). Runway rock may be mined for riches - Dade county has long-range plans to make a lot of money at a small airfield in the far northwest corner of Dade. The above article suggests the BOCC wants to wait for a traffic study to determine if mines to the east should contribute to the costs. The question in our minds is which mines will pay, and will agreements from them "grease the skids" for future mine zoning approvals on Corkscrew Road?